Mobile Application Development has greatly advanced in the recent years. It is a dynamic industry with a noted increase in job creation and revenue for all countries of the world. Mobile App development is basically a process by which software is created for handheld devices. This software can be installed in PDAs and mobile devices. Some application software is installed by the manufacturers and therefore there is no need for the device user to download it. Mobile applications have gained popularity due to the widespread use of smartphones and mobile digital devices. Most internet access activity is carried out in these devices and therefore a lot of businesses have considered mobile Application development to attract more users from this platform. 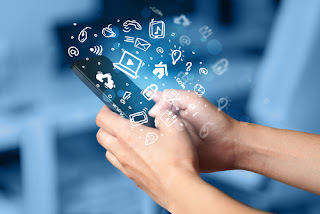 Developing a mobile application will allow business to reach a wider range of people who do not own larger machines or have network access on their computers. This is important for reaching out to people outside the cities who are unlikely to visit a cyber shop to access the Internet. Mobile users are also more likely to check the application more frequently and stay on longer than those using other interfaces. Use of mobile apps gives a business an edge by giving the appearance of being more advanced than its competitors. Consumers are more likely to respond to a technologically savvy business. Applications are much faster than regular web pages in responding especially when internet service is not at its peak. Slow loading pages frustrate people and that may cost a company new clients. When an app is developed with efficiency, it will not work the same as a web page. Some applications will allow access of some data when offline such as gallery images from previous sessions or the blog posts. Applications are highly accessible with the technological advances. All Operating Systems on mobile devices have an application store where new apps are accessible easily. Apps generate great amounts of user information such as locations which can be used to create target markets. Finally, they are more cost effective. Apps are great marketing tools that offer a great deal of advantages over traditional ways such as billboards along the streets. Mobile applications might require tweaks to be compatible to each Operating System. This makes it costly and time consuming for the developers. Unlike general websites, it is in the expectations of the application user to have new material often. For instance, if it is a clothing store, the app user will expect new photographs of fresh items every time they log in to the app. While it may seem unrealistic to the personnel managing the app, the general expectations for any mobile app are the same as with a social networking sites. Apps usually require frequent updating and hands-on monitoring. To keep users interested, regular enhancement of features is required which is not only costly but requires a lot of effort to be input. Companies selling products online are likely to benefit from use of applications and may note an increase in sales. Mobile devices have a versatility that is not in laptops and desktops. People are more likely to consider buying something on a phone application than on the normal web’. Finally, companies can take advantage of the enhanced devices that allow location viewing. This can enhance the relationship between the company and the client by having personalized notifications of the newest offers in a particular location or of newly arriving merchandise. With the above one is able to know what to look for mobile applications. A lot of people in Singapore take taxis to work, tourist destinations and other places. Due to this, the taxi business in Singapore is always flourishing. With technological advancements, many taxi businesses have started using mobile applications to move past the competition, and make everything more convenient for customers. If you have been trying to develop a taxi booking app, you may commit some common mistakes. In this post, we have discussed some of these mistakes, and what you should do to avoid them. In the last few years, the mobile application industry has substantially expanded. Programmers keep developing many different kinds of application to satisfy consumer needs and give businesses an edge. However, there are many businesses that find their apps are not taking off as expected. As mentioned earlier, the failure of a taxi booking app can be attributed to numerous mistakes in the developing stages. Here is a glimpse of some common mistakes that a programmer or developer needs to avoid to build an exceptional taxi app. There are millions of mobile applications in different application stores, such as Apple App Store, Google Play Store and Windows App Store. Due to this, there is a lot of increasing competition in the market. Therefore, most developers have been turning to making their applications for multiple platforms. Though it seems like a good solution, it only increases your engineering costs. In addition to this, you also need to incur additional cost when you need to make changes to all the platforms. Thus, it is better to launch the mobile application on a single platform, and after some time, you can consider launching the application on other platforms. Once you have chosen a particular platform, you need to make sure the mobile application has a set of innovative features. They should act as your Minimum Viable Product or MVP. The median version of the application should prove that the reasoning of the application is working. You should also check if the market and customers are ready to adopt these features. You should never rush into developing a mobile application. It only results into a buggy or slow application. In the initial stages, you should discuss everything with the programmer or developer about your needs, requirements and expectations. This makes sure the programmer develops an app that meets your expectations. While developing a taxi booking app, it’s important to invest a lot of time and resources to develop an exceptional user interface. The interface of the mobile application should be self explanatory and simple. Your customers should immediately know how to use the application. According to studies, around 26% mobile applications are opened just once by customers since they are very complex or complicated to use. Thus, it’s extremely important to include something special in your mobile application. It should amaze your users when they launch the app. These days, many developers have innovative ideas related to mobile applications, especially taxi booking apps. However, many developers don’t have proper management experience. In this case, it’s important to hire a professional, experienced and reputed application development company. A professional company helps you transform your innovative ideas to exceptional applications that function property and give desired results. In addition to this, a professional company also has the right kind of experience in application development, and helps in app documentation, such as product specification document. Though you may have to spend a bit more, every penny you spend on a reputed company will be worth it. While developing a mobile application, you should never ignore monetization. 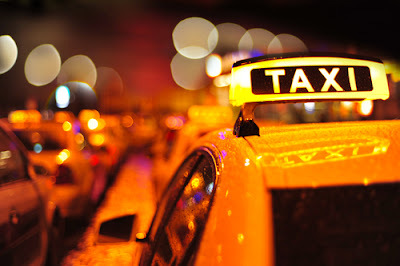 When it comes to a taxi booking app, the primary earning medium will be to earn through bookings. However, you can still put up ads of related services to earn more. When you’re developing an application in the competitive environment, it’s important to start marketing early. In the first few weeks, you should contact a few media houses to market the application. For instance, you can send some emails to an associated blog about public transportation. You should keep the emails short, and include only important details. You should also include some screenshots to make sure the blogger gets a clear idea about your application. The blogger should be enticed to know more about your app and get in touch with you. It’s worth mentioning that developing a taxi booking app can be quite time consuming and tedious. It may take some time before your application gets popular and starts giving returns. Therefore, you should avoid the mistakes discussed in this post, and use the tips mentioned to achieve desired results. Most importantly, you should hire a professional app development company to develop your app.